Ready to humble some of the fastest cars that money can buy, two of the greatest, most extreme Lotus models ever produced, the Lotus 3-Eleven, finished in matt and gloss Black colour scheme and the Lotus Elise Cup 250 in Red, have driven off the production line for the first time at the famous Hethel factory. The two, hard-hitting lightweights represent the latest generation of Lotus sports cars, combining high-output engines with the company’s dedication to cutting mass, and so boosting performance through intelligent engineering. Developed through the company’s Lightweight Laboratory philosophy, every component in each as been assessed, optimised and re-engineered as required. Showing clear intent for the Lotus high-performance sports cars of the future, the 3-Eleven is the company’s quickest and most expensive series production car ever. The 3-Eleven offers a giant-slaying power-to-weight ratio, thanks to a revised V6 supercharged engine developing 460 hp, to provide in excess of 500 hp per tonne. It is capable of sprinting from 0-60 mph in 2.9 seconds before reaching a maximum speed of 180 mph (290 km/h). Designed to deliver a pure, undiluted driving experience, the Lotus 3-Eleven utilises an all-new lightweight carbon composite body, and a bespoke chassis evolved from Lotus’ ground-breaking work with extruded and bonded aluminium sections. As part of its development the Lotus 3-Eleven spent time at the Nürburgring Nordschleife, where it was one of the fastest road going cars to ever tackle the track, capable of setting a sub-7 minute lap time. One year on from its global unveiling, this matt and gloss Black 3-Eleven will be on display at this years’ Goodwood Festival of Speed with Bell & Colvill, the most successful and longest serving Lotus dealer in the world. A second giant killing Lotus 3-Eleven will be taking part in the Michelin Supercar run on all three days of the Festival. With the Lotus Elise recently crowned as Readers’ Champion during the Autocar Awards, this latest version of the legendary car is the faster ever – with a 0-60 mph in 3.9 seconds and a top speed of 154 mph (248 km/h). Powered by a new higher-output version of the supercharged, 1.8-litre 4-cylinder engine, the Elise Cup 250 boasts 243 hp. However, in order to make the most of its power, it’s shed 21kg compared to its predecessor, to weight just 931 kg. Customers wanting to cut weight still further, and so boost performance, can select the optional Carbon Aero Pack to reduce the vehicle’s mass to 921 kg. The hand-built sports car has long been regarded as a benchmark within the industry, providing a level of precision and driver involvement that rivals cannot match. Capable of lapping the company’s test track in 1 minute 34 seconds, the changes and engineering adaptions to the Elise Cup 250 have taken an impressive four seconds off the previous Elise Cup 220’s best time. The arrival the new cars coincides with the 50th celebrations for the founding of the famous factory in Hethel, Norfolk, when, in 1966, founder Colin Chapman moved Lotus to the purpose-built facility. 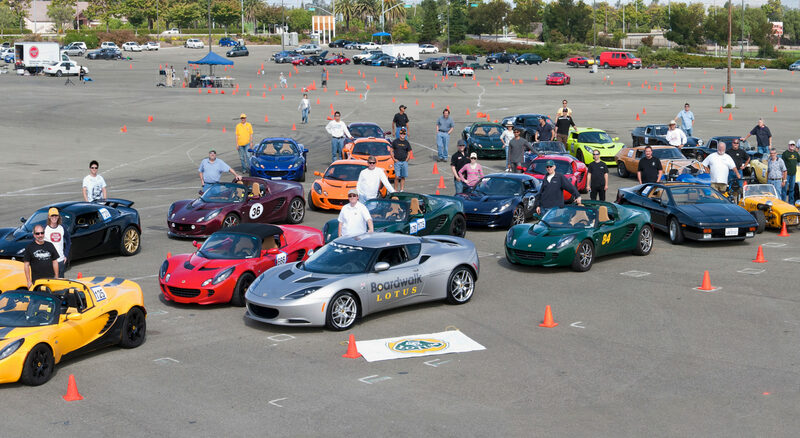 Lotus is marking this milestone in the company’s history with special edition cars and events throughout the year. 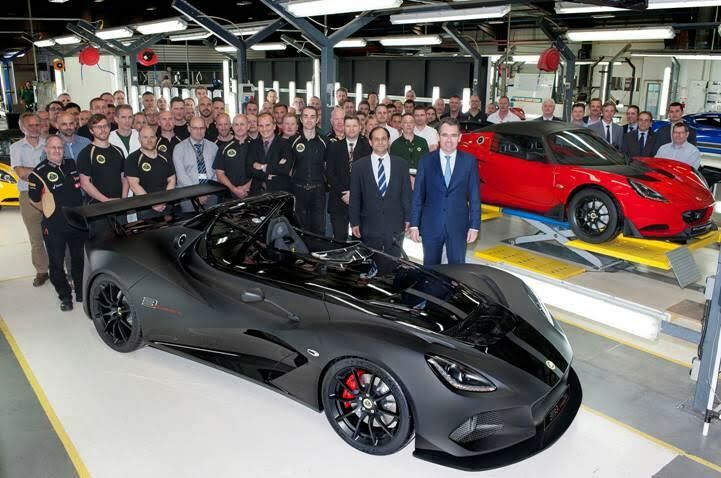 Every new Lotus 3-Eleven and Elise customer can personalise their vehicle through the Lotus Exclusive programme. Developed by the Lotus Design team, it combines traditional British craftsmanship with the best of modern design. Conceived to inspire customers, allowing them to tailor vehicles to their personal taste, it offers a comprehensive array of options and provides an alluring alternative to an off-the-peg sports car. Lotus Motorsport redefines the Exige V6 Cup with the introduction of the Exige 360 Cup. New lightweight panels and an increase in power mean the Lotus Motorsport Cup model continues to provide a benchmark in handling and performance. The Exige 360 Cup bespoke styling signals an evolution in design, with an option of four colours (Metallic White, Metallic Grey, Metallic Black and Metallic Silver) and stealth matt black roof, front access panel and louvered tailgate. This design is a limited edition run of 50 vehicles and each of these special Exige 360 Cup cars will receive a numbered Lotus Motorsport build plate. This new model boasts an increase in power of 10 PS with freer flowing induction and a sports exhaust system, which combined with a low vehicle weight of 1130 kg gives an incredibly pure driving experience on road and track. The powertrain updates also give the Exige 360 Cup a sportier soundtrack to enhance the driving experience. The Exige 360 Cup uses the track proven aero package from the Exige V6 Cup with an aerodynamically optimised front splitter, rear diffuser and wing. Together with the flat underside these aerodynamic aids offer 42 kg of downforce at 100 mph (160 km/h). The chassis on the Exige 360 Cup is a Lotus designed stiff and lightweight bonded aluminium chassis with double wishbone suspension all round. The car is fitted with track focused 2-way adjustable suspension and a 4-dynamic mode (drive, sport, race and off) system, including launch control. New features for the Exige 360 Cup include a bespoke lightweight front access panel, new lightweight rear tailgate and louvered panel. The Exige 360 Cup has a distinctive design, updated grooved brake discs for improved performance, Motorsport Red wheels, embroidered seats and dash panel. The options available for the Exige 360 Cup include a new red Alcantara interior, adjustable anti-roll bars, Öhlins race dampers, fire extinguisher and electrical cut-off, FIA carbon seats, air conditioning and removable steering wheel. The Exige 360 Cup is on sale now through the Lotus dealer network with prices starting at £62,995 (MSRP) including 20% tax. As with all Lotus Motorsport Cup models the Exige 360 Cup is eligible for Lotus Cup race series. In car video from Stefano D’Aste driving the Exige R-GT rally car on a tarmac stage in Northern Italy. Whilst most sensible people prepare to wind down for the festive period, the hard working Lotus Motorsport team are busy celebrating the fruits of their labour over the past 12 months following the first successful engine fire up in the Lotus IndyCar chassis AND the first proper Exige R-GT rally car shakedown all within the space of 24 hours. The first official Lotus IndyCar engine fire up in new car took place on 22nd December at Dallara’s headquarters in Varano Melegari, Palma under the watchful eye of Group Lotus Director of Motorsport Claudio Berro and technicians from the team. Pleased with the overall results, the team have now prepared the engine and car for shipment to the US where full testing will begin in January. Heading north to Turin, the Exige R-GT, the Rally version of the new Exige S, took centre stage with a quick track shakedown for the first time in full Rally specification. The car handled exactly as expected and the team were delighted with the results. Testing will continue in the new year ahead of the start of the 2012 FIA World Rally Championship season where the Exige will contend the FIA GT category on asphalt at events in Monte Carlo, Tour de Corse and San Remo. Claudio Berro said: “The fire up in the car went really well, there were no nasty surprises and I think our partners are going to be very happy with the results. It was only October last year that we announced that we would become an IndyCar engine supplier and just 12 months on, we had an all new Lotus engine and three teams signed up – Bryan Herta Autosport, Dreyer and Reinbold Racing, and HVM Racing. We’ve still got a lot of work to do ahead of the start of the 2012 IZOD IndyCar season but so far I’m very encouraged by what I see. 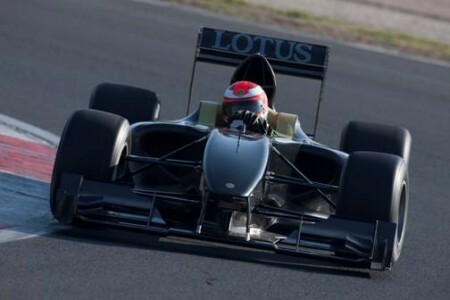 Lotus’ F1 inspired customer race car, the Type 125, had its first official run out at the Italian track earlier this week as F1 legend Jean Alesi and Lotus factory driver James Rossiter completed over 200 kilometres during the two day test. Next week (25th and 26th January) the Type 125 will test at Yas Marina Circuit, Abu Dhabi’s F1 track, where Alesi and Rossiter will be joined by a very special ‘yet-to-be-announced’ test driver before 15 potential buyers get their chance behind the wheel. The two Lotus saga continues with Lotus Renault (Group Lotus) launching their new livery while Team Lotus (formerly Lotus Racing) have begun rebranding their headquarters. 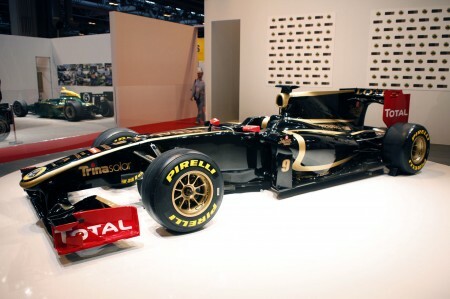 The Lotus Renault F1 team (backed by Group Lotus) officially launched its JPS inspired black and gold livery today, displaying it on their 2010 car. The team also announced that they would be racing under a British license this year which means that any wins would be accoumanied by “God save the queen”. Head over to F1Fanatic for many more photos of the launch. At the same time, Team Lotus just put out this video showing their rebranding of the head quarters with the classic Team Lotus logo and colours. While the Chapman family has formally withdrawn support from the former Lotus Racing team, the British High Courts are set to decide on the ownership of the name later this year. 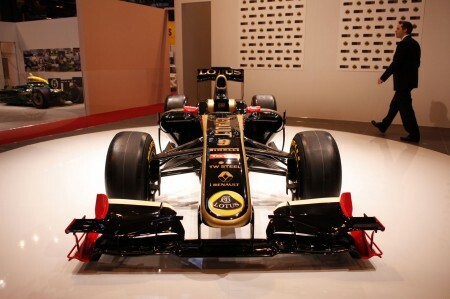 Fantastic documentary showing the creation of the first turbo-powered Lotus F1 car – the 93T. It was also the last car designed under Colin Chapman though unfortunately he died before the car was completed. Lotus Goes Turbo from gt4zone on Vimeo. Road and Track magazine recently invited Dario Franchiti to drive a few laps of the brickyard in Jim Clarks winning Lotus 38.